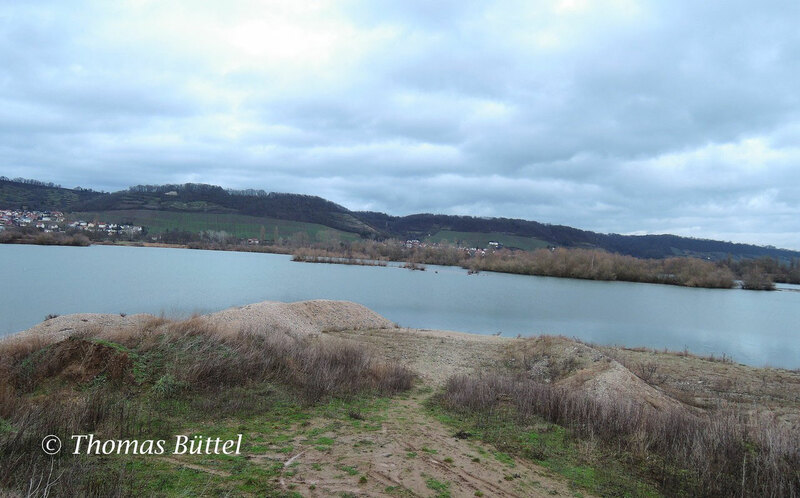 Originally I had planned to visit the "Sander Baggersee Ost" on last Wednesday. Nevertheless, since I had had a lot more spare time than usually, I spontaneously changed my plans and went to the "Garstadter Seen" instead. So it isn´t very difficult to guess what lake I might have visited today. As normally the lake held some interesting waterfowl like the 14 Goldeneyes, which can always be seen on this lake in the winter. 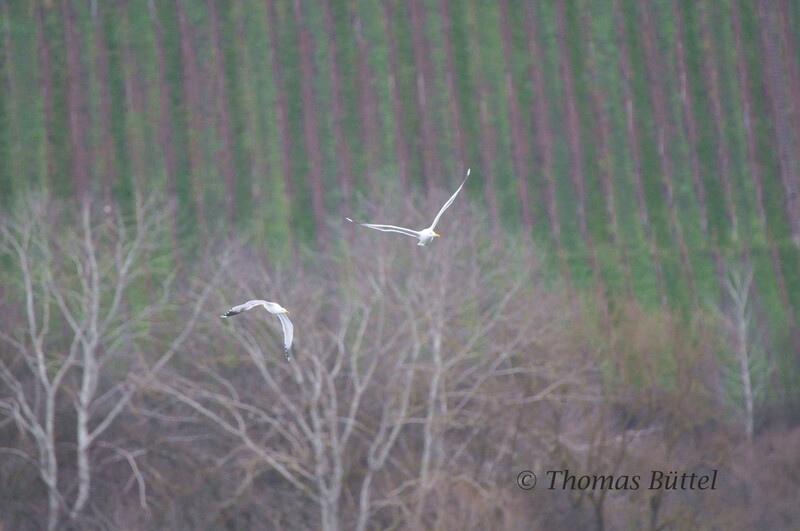 Apart from that there were two adult Caspian Gulls, most likely the same as on my last visit. 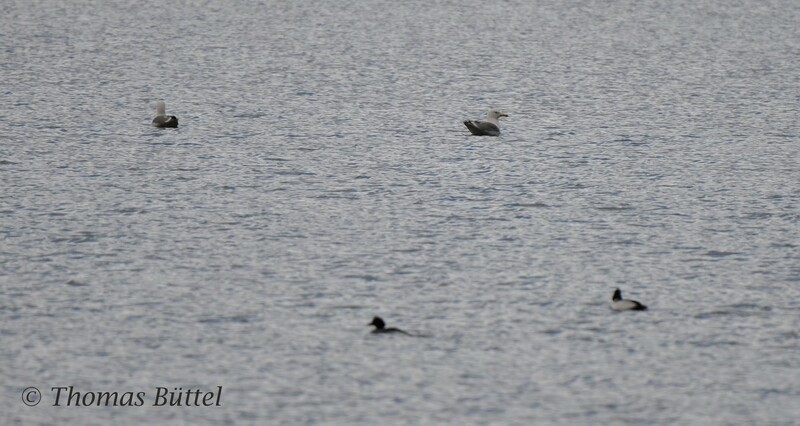 These were however joined by an immature Yellow-legged Gull that had been circling for a while above the lake. Reason enough to take a closer look on both species. 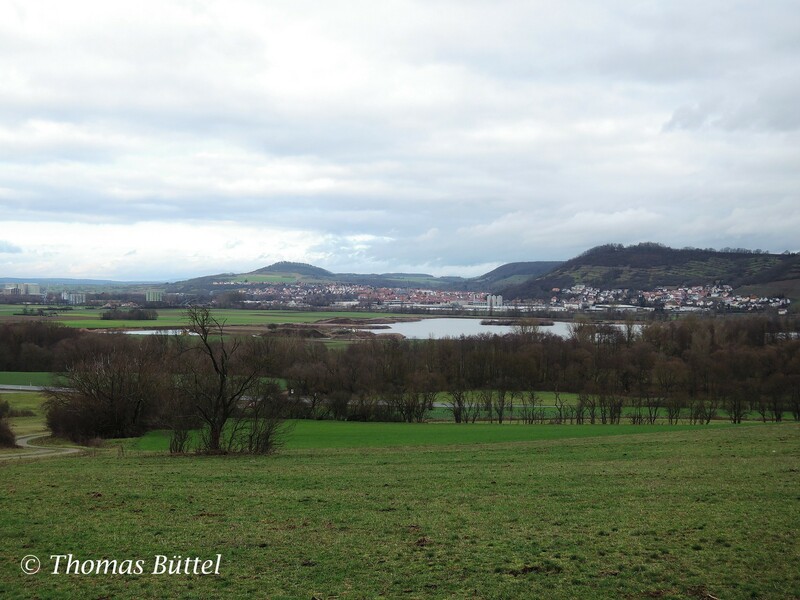 The identification of the larger gulls can be very tricky and so I´m not ungrateful that there are only two species regularly occurring in Franconia: Yellow-legged and Caspian. While the first one is also breeding in small numbers, the latter can mainly be seen on passage and in the winter. A key-feature for me is the difference in structure and in the head-profile. Yellow-legged Gulls appear to be more compact and to have a clumsier and shorter bill than Caspian Gulls. The gulls today however proved very well that it isn´t always that easy. I was watching them from different angles and in different light conditions and they always appeared differently. At the very end I could observe both flying around and could so clear my doubts. Nevertheless an educational lesson about gull-identification. 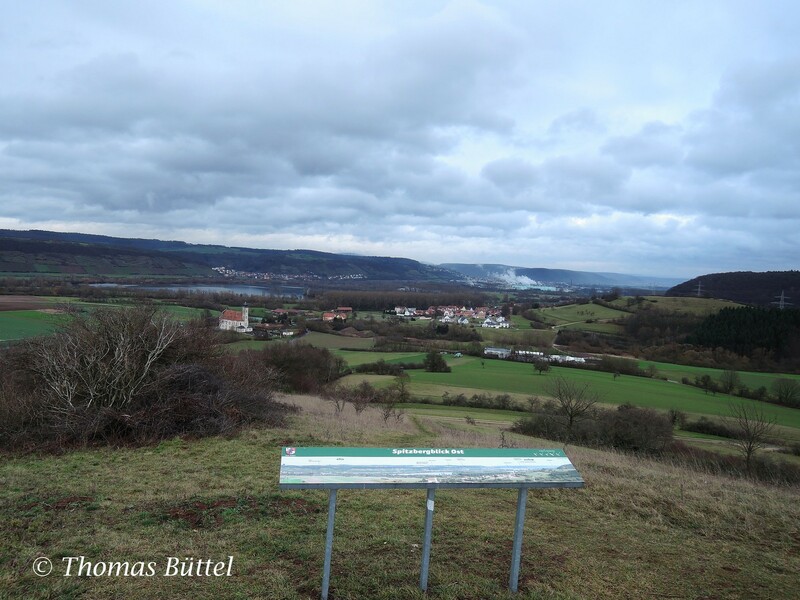 Afterwards I made a detour to a nearby hill to verify my assumption that it might be suitable for observing visible bird migration. Indeed, from the top you have a magnificent all-round view, which is especially important for this special discipline of birdwatching. Furthermore it is located at the valley of the Main, which is an important guideline for migrating birds. Perhaps I´ll give it a try in the next autumn.